Start Attracting Subscribers and Advertisers by the End of the Week! The opportunities in e-mail publishing are hotter than ever. I've sold more than $10 million in advertising in e-mail newsletters and dedicated (standalone) e-mail promotions since 2001. On top of that, I've helped publishers launch dozens of profitable advertising-supported e-mail newsletters on the Internet. How in the world did I do it? In late 1999, I read about a guy who built a billion-dollar publishing empire by perfecting a formula that was guaranteed to increase advertising sales. The guy's name is Bill Ziff - and his technique is still referred to in the trade as "the formula." You can learn all about "the formula" in a great e-book titled Amazing Secrets That Guarantee Advertising Sales (still available through Nitro Marketing). Talk about simple! But these four words are packed with insight and wisdom. I'll walk you through it in a second. But first, I want to mention that there are basically only three ways to make money with an e-mail publication. 2. You can sell fee-based subscriptions. Today, I'm going to focus on the first way - publishing an e-mail newsletter that is supported by paid advertising. That's what "the formula" is all about. Before you can sell advertising, you're going to need lots of subscribers to your publication, Sadly, the size of your subscriber list matters to most of the high-profile, Fortune 1000-type advertisers. I'm aware of dozens of publications that have less than 500 subscribers, and those publications have attracted enough advertisers to make them profitable. 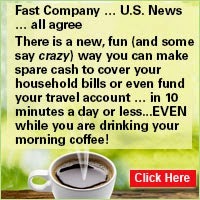 But I'm also aware of e-mail publications that reach more than 500,000 readers ... and those are very, very profitable! 1. You'll need to create a simple website that describes the benefits of your publication. 2. You'll need to provide a mechanism whereby people can sign-up - or "opt-in" - to receive your publication. 3. You'll need to come up with a relentless, low-cost, effective marketing plan that will get your publication in front of as many "qualified" eyeballs as possible. 4. You'll need to provide editorial content that motivates readers to recommend your publication to others. 5. You'll need to buy, rent, or exchange similar subscriber lists to promote your publication. I realize this probably sounds like a lot of stuff and way too much trouble. But there are dozens of top-quality services that provide some or all of these things for you. Yahoo! Groups is one, SmartGroups.com is another. Okay, let's get back to "the formula": the Market, the Buyer, the Competition, and the Solution. What do these words have to do with selling advertising? Everything. When you approach a prospective advertiser for your e-mail publication, you need to know their market. I'm not talking about reading one article about it. I'm talking about having a thorough understanding of it. Your prospective advertiser could be into security software, horse breeding, online gaming, or hundreds of other markets. And you need to know that market as well as, or better than, they do. You need to know who your prospective advertiser's buyer is. Is he or she an IT administrator, a CEO, a farmhand, an office manager? Ideally, your subscribers are the buyers that this advertiser is selling to. You need to know your prospective advertiser's competition. Ask them who their competition is - and then research it yourself on the Web. 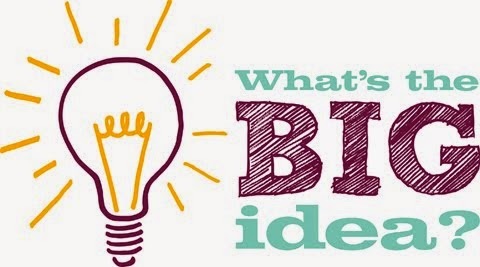 Is your prospective advertiser larger or smaller than their competition? This is a very big deal - a "hot button" for advertisers. If, for example, your prospective advertiser is afraid that the competition has an advantage, you may be able to persuade them to advertise their products or services in your publication to "head off" any damage. Every company has a problem. It could be a problem with a lack of sales, profits, prestige, public relations, declining stock price, or maybe their products are becoming obsolete. What you need to do is identify their problem. Then you can craft a proposal for the prospective advertiser that presents your subscribers as the solution to that problem. And you convince them that your subscribers would be very responsive to whatever it is that they are selling. Your proposal may only be a couple of sentences long - or it could be 6 pages. In either case, it would be built around "the formula" - the prospective advertiser's Market, Buyer, Competition, and the ultimate Solution to their problem (which is your subscribers!). I realize that most advertising salespeople have never heard of this approach. advertising salesperson today is nothing more than an order-taker. Prospective advertisers call in or e-mail and the "ad rep" sends them a rate card. But the formula that I'm describing here will make you an authority when it comes to advertising any product or service - and you'll find that major corporate advertisers tend to be attracted to knowledgeable salespeople. What's more, major corporate advertisers (with very deep pockets) tend to stick with a publication for years. That means you only need to sell them once, and they'll rebook with your e-mail publication month after month after month. I sold an advertising test package to one of the largest gold coin retailers in the world. They've been advertising in that particular e-mail publication ever since (and that was 10 years ago!). If you don't have a subscriber list, you need to start one. The fastest, easiest, and cheapest way to do this is with free Web-based newsletter and list hosts like Yahoo! Groups. You can start a newsletter, discussion list, blog, or announcement list in just a few minutes - and it's free. Yahoo! Groups also provides a way to market and advertise your newsletter. This will help you grow your subscriber list. In addition, you can promote your e-mail publication with Google AdWords or hundreds of other pay-per-click or flat-fee search engines. The object is to build your opt-in subscriber base as quickly as possible. You can also advertise in e-mail newsletters, search engines, and/or on high-traffic sites. This doesn't mean that you'll have to spend a lot of money. But list building and promotion does take time, attention to detail, and passion! Let's say you want to launch an e-mail publication on horse racing. You've started promoting and marketing your publication on search engines ... and perhaps on high-traffic websites that are focused on horse racing. Now, in order to attract advertisers, your publication will need to "flow" with similar publications that already have paying advertisers. You can be different. But when you're starting out, the publication needs to be a natural fit for advertisers. That's what Steven Crist did when he started the Daily Racing Form. Granted, the Daily Racing Form started out as a print publication. But the e-mail version has been almost as successful. Smart Card $50 Billion Market --- New Opportunities Daily! The smart card and prepaid phenomenon is here! We all know what prepaid means! But I was clueless of the magnitude of this market until I started digging. In this week’s issue I’ve ripped the curtains back so we can take a look at “Oz” in all of his glory! The opportunities in the prepaid market are mind boggling. You can tap into some of these opportunities from your desktop over the Internet. The first step is to identify the opportunity that works best for you. What the Heck Is the Smart Card and Prepaid Market? The first prepaid or “stored-value” card (or SVC) appeared on the scene in 1992. Even 10 years ago the smart card, store-valued card, and prepaid market was considered a “joke” by most consumers, business owners, and entrepreneurs. It was likened to infamous “barter bucks” or “barter networks” – which work great on paper but not in reality. Stored-Value Cards Skyrocketed to Become a $50 Billion Market! Today, smart cards, stored-value cards, and prepaid cards are BIG business! SVCs are offered in hundreds of markets including restaurants, movie theatres, home improvement centers, flower shops, online stores, and even airlines, just to name a few! A major difference between stored-value cards and debit cards is debit cards are typically issued in the name of individual account holders or business, while stored-value cards are usually anonymous. The term stored-value card does not necessarily mean the funds data (or digital money) is physically stored on the card. In most cases the data is maintained on computers affiliated with the card issuer. The value associated with the card can be accessed using a magnetic stripe embedded in the card, on which the card number is encoded; using radio-frequency identification (RFID, which is cool stuff too! ); or by entering a code number, printed on the card, into a telephone or other numeric keypad. One of the “insider secrets” in this industry is the fact that people who use smart cards or SVCs almost always spend more than the dollar amount of the card. What’s more, there’s also a HUGE market of “unused” funds on prepaid and SVC cards. There are hundreds of markets to choose from including prepaid cellular, Internet SVC, restaurants, auto repair shops, computers, and game rentals for systems like Xbox and Nintendo Wii. I've used TracFone prepaid cellular since 2001, and I love it! Granted, I pay a little extra for each call - but there are NO long-term contracts, monthly bills, roaming charges, hidden fees, secret charges, or cancellation penalties. If I lose my TracFone or it's stolen, it becomes inactive when the prepaid units run out. On top of that, I can pick up a high-end LG flip phone (super-thin) at Wal-Mart for $29.95, which includes 100 airtime units. TracFone is the largest prepaid cellular company in North America. And they recently launched an affiliate/partnership program for entrepreneurs. The TracFone program enables entrepreneurs to make a 15-20 percent commission on all TracFone sales. This includes the TracFone, airtime, and accessories! The largest TracFone reseller averaged more than $30,000 per month in sales in 2009. The figures from 2010 are not in yet! Entrepreneurs are offering TracFone airtime cards on websites and/or promoting them to their opt-in subscribers. I’ve even seen TracFone affiliates selling products, accessories, and airtime on Google and Yahoo! by using keyword advertisements linked to their affiliate website. But the infamous “brick-and-mortar approach” seems to be working, too. Retail shops, airport gift stores, bars, nightclubs, restaurants, and sports venues sell TracFones and prepaid cards on the spot. Obviously you’re not limited to offering TracFone prepaid cards. There are hundreds of prepaid and SVC markets just waiting for someone like you to take the bull by the horns. Unlike the other prepaid opportunities, legal, dental, medical, and insurance may require some physical interaction with your customers - although these are being sold over the Internet too. By "interaction" I mean a direct (person-to-person) sales approach is typically required when marketing these type of cards and services. For example, you've probably heard about PrePaid Legal Services Inc. Web-savvy entrepreneurs have been promoting PrePaid Legal's services online for years. I like PrePaid Legal's direct sales and marketing strategy. They offer opportunities for entrepreneurs to easily profit in the prepaid legal market. Providing a small- or medium-sized business with customized, SVC gift cards is a gigantic market – I’m serious. Business owners will do almost anything to increase revenue - and that's what SVC and prepaid cards do. Take a local bookstore, for example. You could offer them a package of 50 prepaid gift cards with their logo on them. If it costs you $45 to have the cards imprinted, you could charge the bookstore $95. Your profit would be $50 per order. The cards are usually a big hit with customers. So the bookstore will come back to YOU for more of them. The continuous backend orders would be even more profitable for you. The bookstore owner can give away prepaid cards you supply with $1 on it to every customer. Most people will return to the bookstore to spend much more than the stored-value on the card, so this is very profitable for them. This same approach could work with prepaid and SVC cards for gas, home heating fuel, amusement parks, bowling alleys, putt-putt golf, coffee shops, movie theatres, and restaurants, to name a few. Just sell personalized cards with stored-value to businesses, and they’ll keep coming back to buy more from you. Even a small amount on a card will influence people to come in and shop. They’ll see how often the cards get used – and how their sales go up. All of these markets have substantial repeat business. And, you could also sell the prepaid POS (point of sale) "swipe" terminals business owners will need to add more stored-value to the cards. A lot of merchants already have POS terminals in place - but not all of them. VeriFone is one of the largest and most reputable POS terminal manufacturers. You can learn all about their products here. This would be a matter of building a network of attorneys who are willing and able to provide ongoing services for a flat fee. Don’t have any attorneys in your back pocket? Most attorneys I know are open to income opportunities. A simple well-written letter to a dozen top attorneys in your area should do it. You can also check out the Attorney Referral Network. Heck, this is a great resource to have if you never build your own prepaid legal network! Each "member" that joins the prepaid legal network would pay a monthly fee (it could be assigned to an escrow or separate account) and would be entitled to a predetermined level of legal assistance each year. Every time a member receives legal counsel, a "unit" would be deducted from their account. Your profit would come from a monthly administration/membership fee and the difference between the attorney's fee and a membership "unit." The attorney's fee could be negotiated. A subscribing member would submit his legal problem or question into your "legal search engine." The engine would then instantly provide basic legal guidance on standard issues. If the question required more time to research, or human assistance, the results would be returned within a set period of time. LegalZoom.com is considered one of the top legal service centers - and for good reason. There are very few sites that are as comprehensive and thorough as LegalZoom.com. But no single company will control this sector - unless, of course, Google goes into the legal engine business! You could focus on targeted niches like living trusts, wills, copyrights, patents, divorces, or trademark protection. Google could be one of your sources for legal information, as well as legal documents and forms. Basic legal research can be conducted on Google quite easily. The stored-value gift card market is estimated to be worth more than $275 billion, according to Financial Insights. At colleges and universities, the students consider them to be much "classier" than cheap, handwritten paper gift certificates - and they are much easier to use. You can sell these cards to parents online or directly via snail mail. The parents can load them up with "stored-value" (credit) for stores like Wal-Mart, 7-Eleven, Target, or Best Buy. To most parents, it makes more sense to give their kids cards with preset limits than regular credit cards. According to the Network Branded Prepaid Card Association, the demand for prepaid and stored value cards is growing like among college students, fans of professional sports teams, business travelers, and music aficionados (mostly for online downloads). Prepaid kiosks are spreading like wildfire in Asia. There are many variations available on this theme. But Kiosk Information Systems offers prepaid ATM kiosks for sale. These kiosks leverage point-of-sale prepaid purchases for bill paying, online banking, prepaid cards, insurance and many units offer email services. As an entrepreneur you can purchase ATM machines and place them in strategic (high traffic – multi lingual) locations. So as you can see, the prepaid, smart card and stored-value card revolution is upon us! This is a market reaping the benefits of a hot rising trend. And so can you. Joining and building a legitimate online affiliate program with major smart card and prepaid “players” like TracFone, AT&T, Verizon Wireless, and PrePaid Legal (to name a few) is the fastest way to start making money in this market. On top of that, affiliate programs don't require a huge financial commitment either. 1. The TracFone opportunity enables you to sell the phone, prepaid services, and accessories on a website or landing page. You can promote these products on Google, Yahoo!, MSN, or ABCSearch.com with keyword advertisements. You can also build a “review” style website which reviews all of the prepaid cell phone companies. You can become an affiliate with all of the companies, or just TracFone. When visitors click your affiliate link in a review they will be delivered to the company’s website. IF they make a purchase you get paid. You can also promote TracFone products in e-mail newsletters, blogs, discussion lists, YouTube, Facebook, MySpace, on search engines, and other targeted websites. Your affiliate link should be in all of the promotions so you receive commission when a sale is made. 2. PrePaid Legal Services, Inc. is fairly straightforward. Go to their website, learn about the opportunity, and start marketing it on the Internet, via direct mail, or TV. But remember you’re not limited to affiliate programs. You can design and sell stored-value cards to thousands of small- to medium-sized businesses. This market is virtually untapped and it’s growing like wildfire! Question: Marc, please explain the "web services" business I heard you refer to the other day (on radio). Thanks! The Hottest “Web Services” Business on the Planet Revealed! This business could generate a cool $25k over the next six months (or maybe more) – if you approach it the right way. Google, Yahoo! and Bing receive more than 85% of the search traffic on the Internet, according to some experts. Some experts think the number is closer to 90%! But whatever the number we’re talking about MONSTER traffic….to the tune of more than 9 billion searches per day! Maximizing search traffic for your clients is where this incredible business comes into play. In order for a website to be ranked prominently in the Google search results (or any engine which uses the same algorithm technology) – it must have legitimate back links. A back link is a hyperlink from one website to another. In fact, hyperlinks are what make the World Wide Web work. Here’s another interesting tidbit for you….it’s called “back link hierarchy”. Hierarchy is simply an arrangement of items. And in this case it’s an arrangement of back links. Don’t worry…..I won’t go “tech” on you! A back link from just any old website is not a big deal. If someone wants to increase his or her position in Google search result pages they need back links from “important” websites. Obviously everyone thinks his or her website is important. But I’m talking about being “important” in Google’s eyes. An important website according to Google is one which has a high PageRank, traffic, and links to other sites. This business I’m talking about acquiring backlinks from “important” websites to your client’s website. The demand for this service is huge….and growing like wildfire. If you don’t think there’s a demand for this service – then DON’T run an ad for it on CraigsList or anywhere else! If you start marketing this service, you’ll start receiving e-mail inquiries (and phone calls) almost immediately. I posted an ad for this service for an entrepreneur on CraigsList recently to see if there was a demand for it, and I received 14 emails within 24 hours. And forget about competition. Yes….other people are doing this but not as stand alone, focused service. Almost no one provides backlinking services on an exclusive basis. Granted, a lot of SEO companies offer backlinking services as part of a package but as I said, not as a standalone service! “How Much Can I Charge for a Backlinking Service”? You want to make money. After all, you’re in business to make a profit. But first, you need to become proficient at securing “important” backlinks for your clients – and making it super-easy for people to work with you. If you’re successful at doing this the money will flow to you in a raging torrent because word travels quickly. Your fees will need to adapt to the marketplace. Which means you’ll need to do some testing to find your best price point. But don’t worry about this right now. There is a HUGE demand for this service – and I’ll prove it to you by helping you write your first advertisement. Let’s concentrate on making the first sale – and then you can “tweak” your charges accordingly. I think starting off by charging $199 for the first month of service is very reasonable. For that, you can guarantee to secure a minimum of six viable backlinks from “important” websites for your client – or your service is free (you could say). Qualified prospects would be required to pay half of your fee up front (via PayPal is best). I think PayPal is the only way to go for a business like this. Plus… most entrepreneurs and website owners are very comfortable using PayPal. The balance of your invoice could be paid within 30 days ... or when you’ve completed your end of the deal. Documenting the work you do is easy. You can send your clients an Excel spreadsheet which shows the successful backlinks you’ve acquired for them. Assuming you’re successful – and the client wishes to continue – you could then charge $79 per month going forward acquiring back links for them (or something along these lines). And just remember ... this CAN be an ongoing service! Some clients may only want the service performed one time. But you’ll find some clients who will love the idea of acquiring hundreds of viable backlinks from “important” websites to their sites on a regular basis. In order to make $25,000 over the next six months, you’ll need 126 clients who will pay you $199 each. Another way to look at it is you’ll need 16 and 17 new clients per month. I know this probably sounds like a lot – but we’re talking about a high-demand business service here! Keep in mind the sample ad I used generated 14 responses, and eight of them became paying customers! So if you run effective ad copy, to the right audience – you should be able to acquire 16 or 17 paying clients per month without any problem. But hey ... if you only acquire two new customers the first month, that’s fine. The idea is to provide your service to 126 people over the next six months. On top of that, don’t forget that acquiring new customers on the front end is the hard part. If only 5% of the 126 customers agree to retain your services on an ongoing basis this will mean about $500 per month (5% of 126 is 6.3 x $79 = $497.70). Once you’ve successfully backlinked their website with the first phase of your service, they’ll probably come back to you again and again with money in hand. How Do You Acquire Backlinks From “Important” Websites for Your Clients? There are dozens of backlink software programs on the Internet which will acquire backlinks for you automatically. Some are better than others. These programs can complement your backlink service – but they’ll never replace making one-to-one contact. In other words, the most powerful backlink candidates for your clients will be the ones you get by contacting people directly. This can be done by dropping personal notes to the owners of important sites (or the people in charge of portals). Ask them if they would be willing to put your client’s link on their website. Don’t be surprised when most of them turn you down. That’s why most business owners don’t have the time or patience to do this themselves. In time, you’ll begin to see the value of your service for your clients – and you’ll get really good at acquiring backlinks for them. What’s more, there’s a dirty little secret in the backlink industry that you need to know about: PAID BACKLINKS. You have to be careful with this tactic, and I don’t have time in this week’s issue to explain all of the ins and outs of it. But there are tens of thousands of “important” website owners who are willing to place link on their sites for your clients ... for a price. Simply present the idea to your clients to see if they’re open to the idea of paying for backlinks. If they are, you can set them up (as part of your service). I would, however, avoid backlink exchange networks like the plague. They’re not worth the time, trouble, or unceasing spam. A backlink exchange or “link farm” is a site that posts a large number of unrelated links. These are also known as FFA – Free For All sites. Link farm sites – and the links that the site provides – are pretty much useless. I like the approach of both of these companies. LinkBuildingDirect offers a neat backlink package which you could “re-sell” to your clients. This would mean they do the work, and you get paid for it! You now have a great foundation for starting a profitable backlinking service. Please drop me a note with your thoughts, feedback or complaints! Post an ad for this service on CraigsList under Services or Resumes. Keep the headline simple with a benefit (as I did in my example). You should start receiving responses within a few hours. People will typically respond with questions about your service, guarantees, and fees etc. Put the emphasis on improving your client’s Google PageRank, not on your service. In other words, it’s not your service which needs to be sold – it’s the importance of improving the client’s Google PageRank! Your service helps website owners in all of the top search engines which use backlinks in their search algorithm (ie: technology). You don’t need a website for this service. But it wouldn’t hurt! You don’t need to spend a lifetime designing a website either! You can post a website quickly and easily with free hosting on DotEasy. They offer banner free hosting too. You can also use a blog in place of a website! Millions of people prefer blogs over websites because of the ease of running them, without a need for technical expertise. You can design and launch a free blog at Blogger.com. If you’re starting out in this business (or ANY business) and you don’t have references…don’t sweat it. Just tell prospects you don’t have any because this is a new service. If prospective clients require references just let them go…don’t sweat it! Millions of people need this service and could care less if you have references! Ask for half up front – and the balance upon completion. Do not forget to follow up with people who responded to your ads and promotions. It may take a couple of e-mails before they’re comfortable enough with you to buy your services. And don’t have to limit yourself to CraigsList. There are thousands of places to promote your services for little or no investment, including Google AdWords (can be pricey), ExactSeek (prepaid keywords), Yahoo!, MIVA, 7Search, Pulse360.com, LookSmart, SiteProNews.com and Bravenet.com.